After the ban of absinthe started spreading over the world from 1910 and on, the distillers and the drinkers had to turn to something else. The producers started to make products that reminded of absinthe, but conformed to the new laws and regulations. 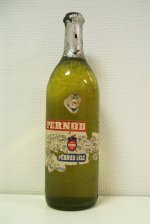 Among those products were various Liqueurs d'Anis, Pastis and so on. Some of the brands still exist today, some not. The ones reviewed in this section are vintage absinthe substitutes. 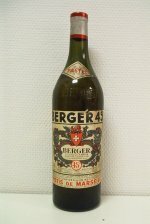 The Swiss producer C.F Berger did as most others and started to make Pastis and other anis liqours. The Berger Pastis is still in production today but not nearly as interesting as this pre WWII representation. 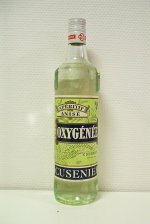 The once famous Oxygenée brand of absinthe was replaced by substitutes of various kinds. This is nowhere near absinthe as it's a simple anisé and very sweet. 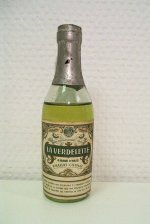 A very early variation of the absinthe substitutes that came out on the market after the ban.